Marie Caroline Amélie Duchesnay-Marra was born in Québec City on 14 October 1920. She was educated by the Ursulines of Québec at a 17th-century Roman Catholic monastery before attending business school. In March 1942, Marie began work for the Royal Canadian Navy (RCN) as a civilian cryptographer. She helped the Allies secure wireless communications by encoding and decoding secret transmissions sent and received on teletype machines. 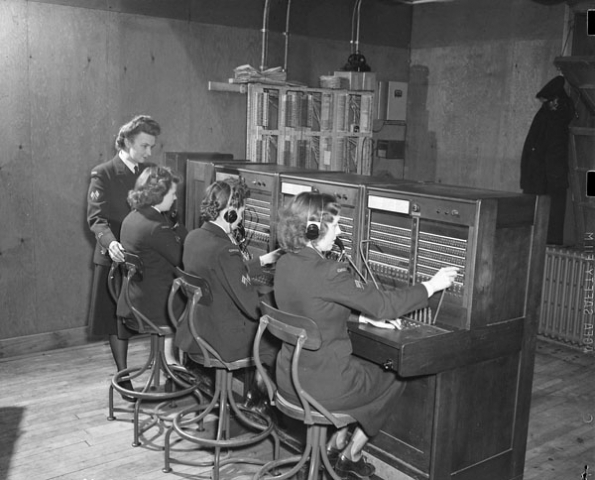 These devices were like a typewriter but able to communicate with other machines using radio or telephone networks. Marie enlisted in the Women’s Royal Canadian Naval Service (WRCNS) in June 1943. She took basic training at HMCS Conestoga in Galt, Ontario. As the only French speaker in her class, Marie struggled to pass the final exam, which was administered in English. She eventually passed and went on to the RCN’s Signal School at HMCS St. Hyacinthe in Québec. Here she updated her encryption skills and learned other signalling methods, including lights and flags. After completing her training, Marie transferred to Halifax, where she worked in the message centre. Her work was often vital for the security of convoys making the North Atlantic run through U-boat infested waters. Marie’s work also took her to Ottawa and Gaspé, Québec before she left the service in August 1945. The war was just the beginning of Marie’s career in cryptography. She worked for Canada’s foreign service at embassies in France, Belgium, the United States of America, and Turkey from 1945 to 1962. She met her husband, Paul Marra, and they settled in Strasbourg, France and later Saix in southern France. Paul died in 1992 and Marie later returned to Canada. Marie Duchesnay-Marra passed away in Montréal on 8 December 2007, aged 87. Cryptography or encryption was the practice of converting information from a readable state to an unreadable state to ensure secure communications. When the military wanted to send a message, it typically did not want the enemy to intercept and read that message. Messages would, therefore, be sent in code so only those who had decoding instructions (a key) could read them. During the Second World War militaries and governments around the world made extensive use of wireless telegraphy, sending signals by radio wave. 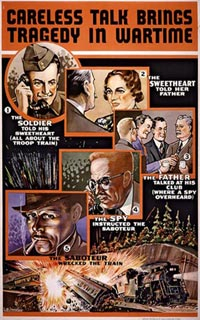 The problem was that unlike a direct line (which had to be tapped), anyone with a radio receiver with the right settings could intercept the message. This made it even more important to send communications in code. Marie Duchesnay’s work allowed the Allied navies to send secure messages across Canada and the Atlantic. 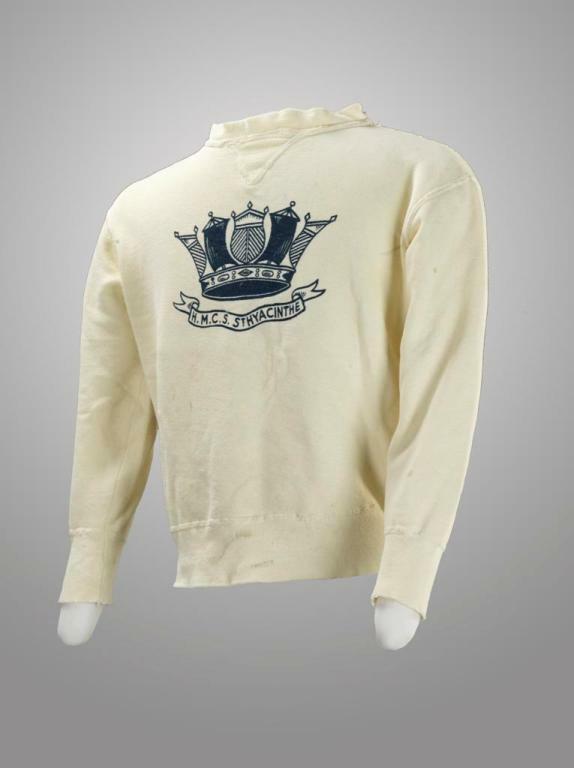 Hers was an essential contribution to the safety of Allied service personnel crossing the Atlantic and the success of the build-up in Great Britain for the invasion of Normandy. 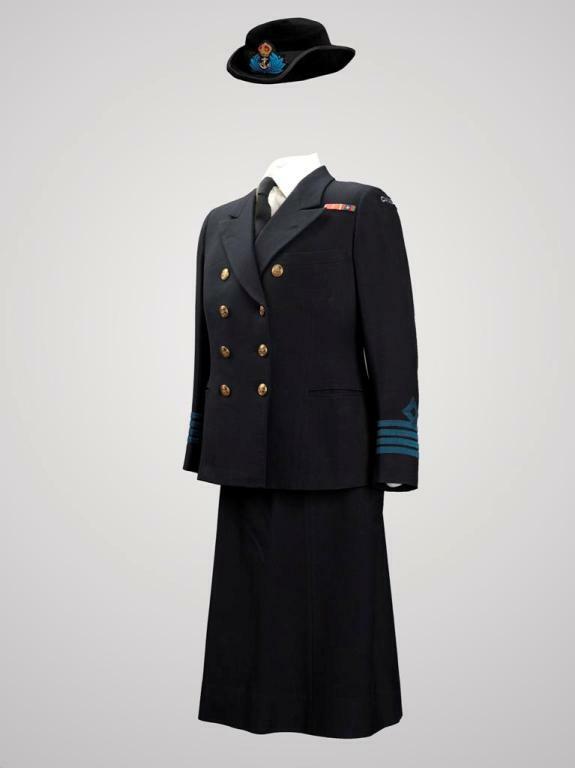 The Women’s Royal Canadian Naval Service (WRCNS) was a women’s auxiliary service during the Second World War. It was the naval equivalent of the Royal Canadian Air Force Women’s Division and the Canadian Women’s Army Corps. The Canadian government established the WRCNS on 31 July 1942 as a separate entity from the Royal Canadian Navy (RCN). 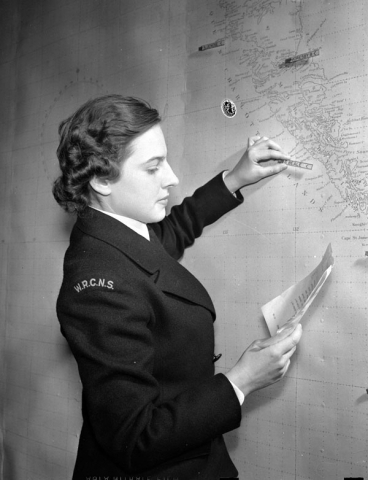 Women in Canada’s naval service were known by the term “Wrens”. 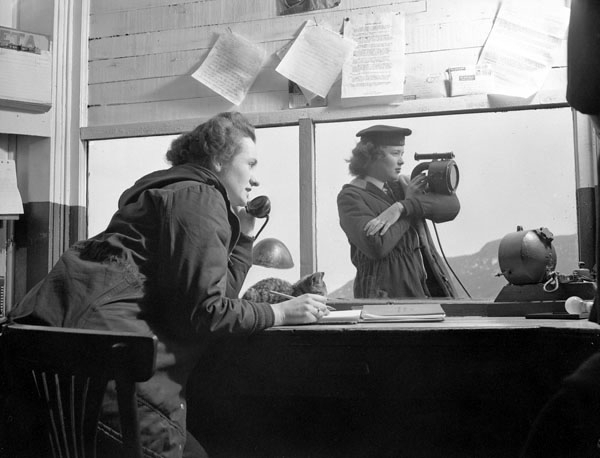 This was a logical slurring of WRNS, the Women’s Royal Naval Service in Britain. 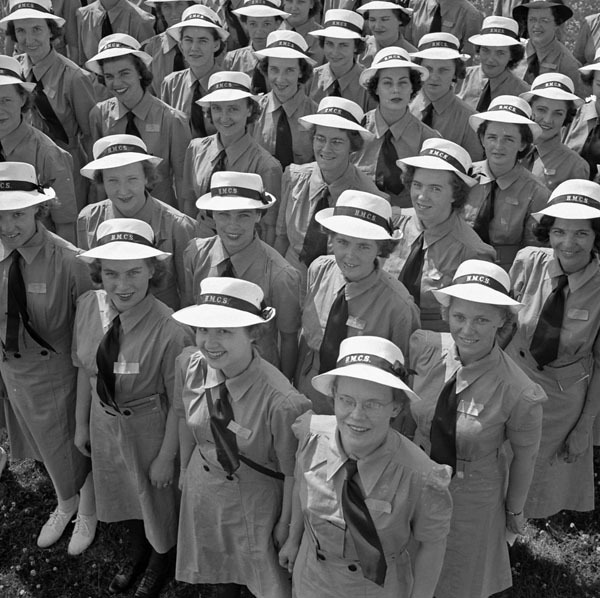 Canadian Wrens served in 39 different trades between 1942 and 1946. Some were given more traditional women’s jobs like office work, cooking, and laundry. Others, like Marie Duchesnay, were recognized for their communications skills and worked in wireless telegraphy, signals intelligence, and as cryptographers. 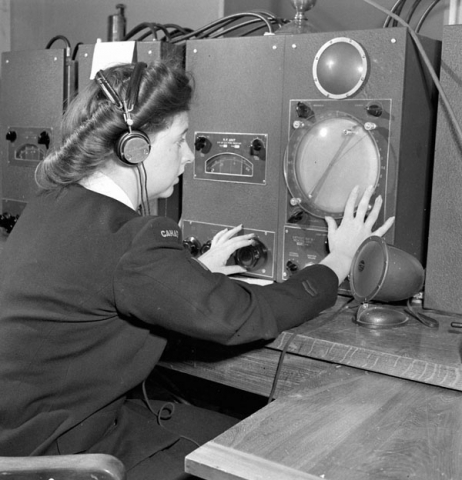 Wrens also coordinated convoys sailing in Canadian waters by working at radio detection and plotting stations. 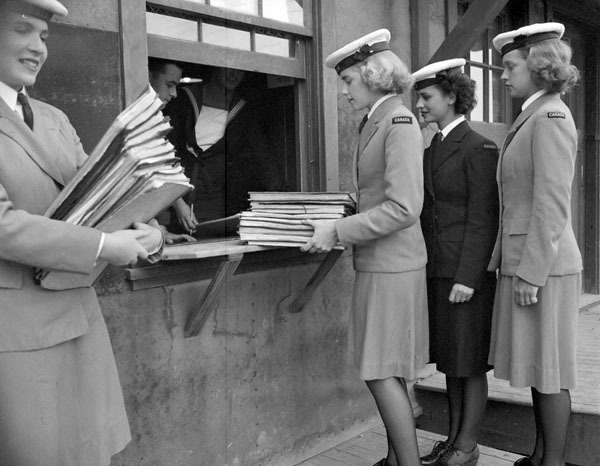 From 1943, many received postings to major naval bases at Halifax or Esquimalt. Women were not permitted to serve aboard Canadian warships. They did, however, serve outside of Canada. 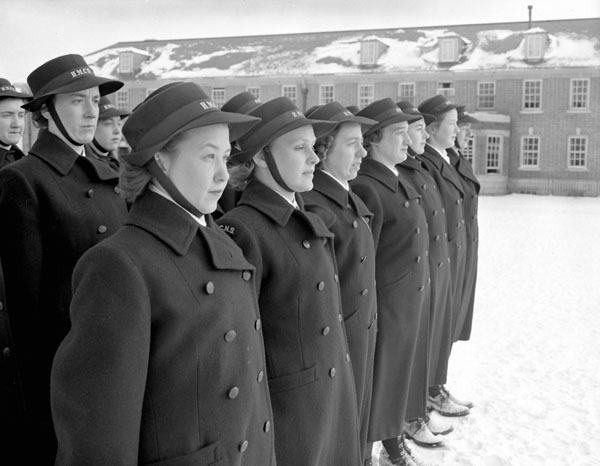 In addition to 500 postings in Newfoundland (then a separate Dominion), some 500 Canadian Wrens served at Canadian naval bases and headquarters in Great Britain. Fifty served in the United States at offices in Washington D.C. and New York City. A total of 6,783 women enlisted in the WRCNS during the Second World War. Although the RCN was slow to recognize the value of a women’s service, the precedent Wrens set meant there was no going back. 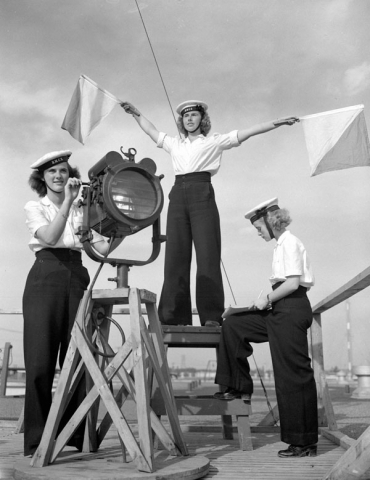 In 1951, Ottawa approved a Women’s Reserve attached to the Royal Canadian Naval Reserve (RCNR). In 1955, regular force Wrens joined the RCN but the Canadian Armed Forces restricted women from serving in combat roles until 1989. It was only at this point that women could serve aboard Canadian warships except for submarines, which opened in 2001.